REFERENCE & LICENSED!! AVAILABLE: IVORY, FOX RED, "ENGLISH CREAM" Golden Retriever boy ($1875) babies-ready May! TESTED FOR 17-20 GENETIC DISEASES Labs have a predisposition to!! Pictured are past pups from same lineage, and parents. COMPREHENSIVE HEALTH TESTED PARENTS & LIFETIME GENETIC HEALTH GUARANTEE ON MANY DISEASES LABRADORS ARE PRONE TO!! **SUBMIT APPLICATION** – This is NOT necessary and does NOT ensure a position/puppy will be yours. Please contact us directly for availability! Positions are normally filled prior to litter arrival! Extensive champion hunting and show lineage. Ideal mild temperaments, but strong hunting instinct! Please email us or message us https://www.facebook.com/foreverlabradorsandgoldens/ as messages on this site are often not received! About Forever Labradors ...and Goldens too ... REAL references! Visit our Facebook Public Page to see what others are saying about our puppies! 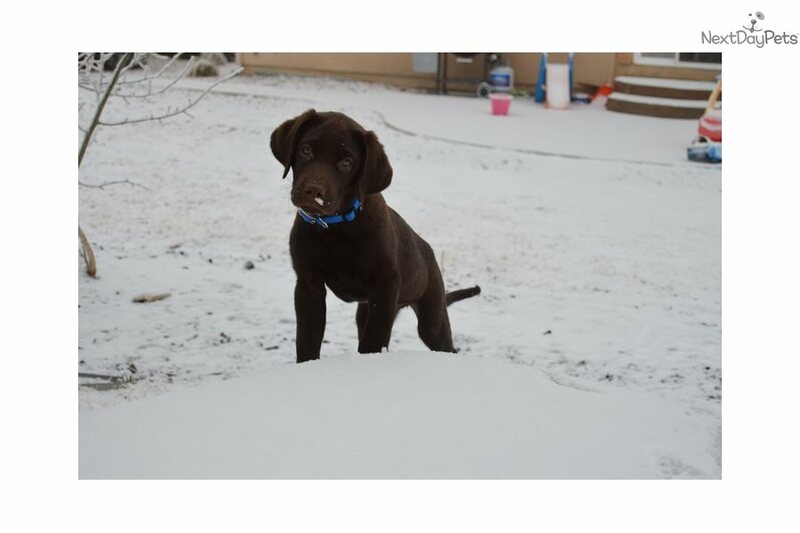 Our ultimate goal is to offer a quality, family raised Labrador Retriever that is well-adapted, superior tempered, and an impressive addition to their forever families that will make ideal family pets, working hunting companions, as well as therapy and service dogs without over pricing our pups! 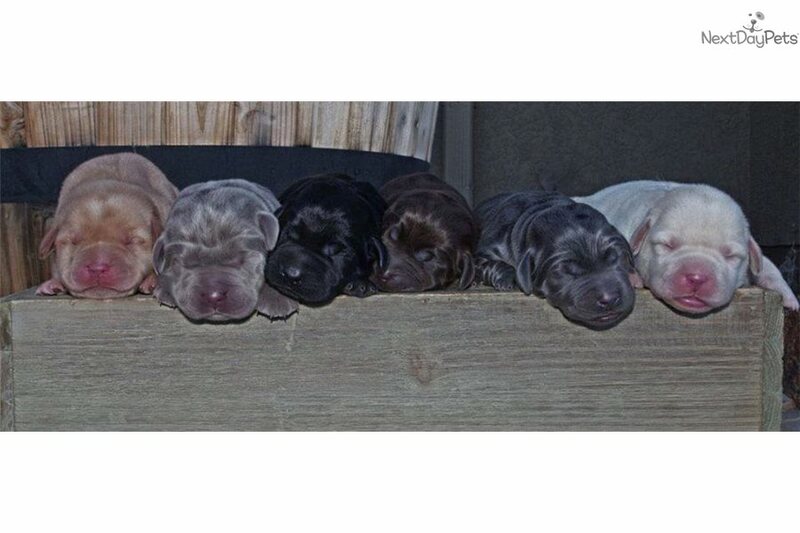 A family operation that is proud to now be raising our own fourth generation of puppies!! We have over 20 combined acres for our dogs to have extensive room to exercise and play! I have been a small breeder for over 25 yrs. and I do not/will not run a "kennel" type of operation; no cages, kennels, or crates!! Our dogs are in our home and have free access to fenced areas as well as open run of the fields daily. Our retired dogs are not placed elsewhere, they, as well as all of our breeding dogs and their puppies, are our spoiled family companions that we treasure. This is not our source of income as RESPONSIBLE breeding brings major expenses, both emotional and monetary and pride, accomplishment, and joy to what we offer others—definitely not a steady paycheck! 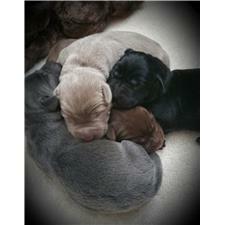 Our puppies are highly socialized in our home with children, cats, birds, and other dogs. I am home full-time as I am not only extremely dedicated to my education and my children's home schooling, but to my dogs, and the future of their puppies as well. Ultimately, we offer a considerable amount of daily interaction with our puppies as they are born and raised in our home, and are heavily handled and socialized several times daily. I have yet to come across a more consistent nurturing environment to enable a puppy a perfect start towards their forever family and I believe our past adopters will agree. We are licensed and inspected through PACFA-Colorado Dept of Agriculture and far exceed their standards. All of our puppies come with an immediate money back health guarantee and a LIFETIME GUARANTEE ON genetic diseases, as well as a hip and eye guarantee. In addition, they are wormed 3 times and vaccinated prior to leaving. 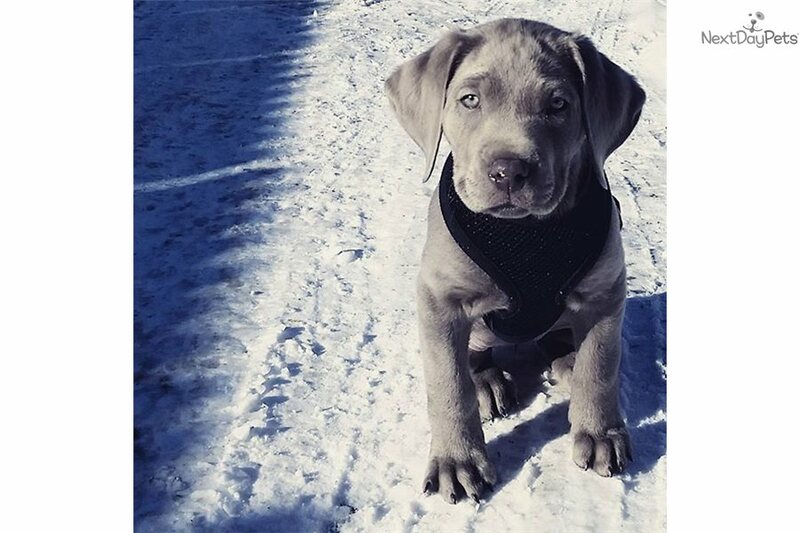 Our adoption fees cover all of the above, as well as micro-chipping with a link to free lifetime registration, registration application, extensive educational weekly updates as well as information regarding the litter, bi-weekly pictures until your puppy comes home, 3-5 generation pedigree, and copies of health clearances on the sire and dam as requested. With purchase of supplement a puppy gift bag that includes: blanket, sample of dry and can food, treats, toys, puppy pads, sample of supplements we offer all of our adults and their offspring, Our fees assist in our time and commitment to your puppy, the support of all of our dogs; including a high quality balanced diet, supplements, vet examinations, routine wormings, vaccinations, microchips, emergencies that arise, and the amenities spoiled and loved companions require! 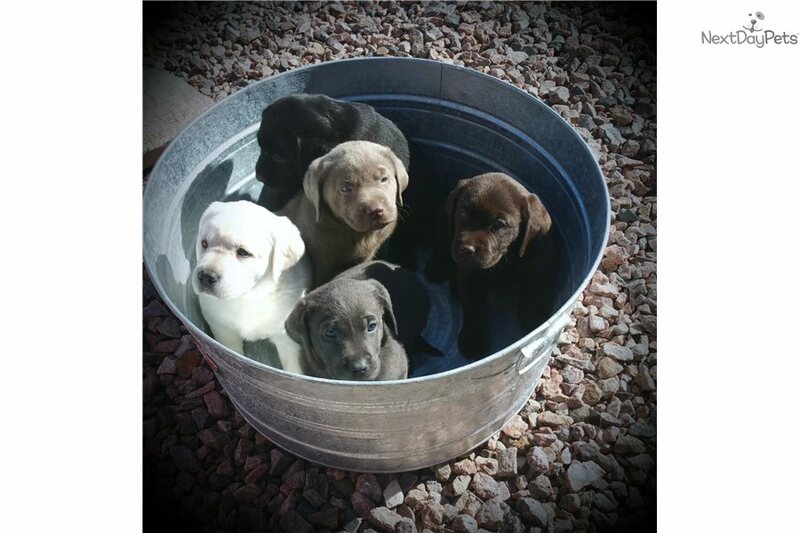 Puppies are priced for LIMITED REGISTRATION status as follows as we place our babies in pet/hunting/therapy/companion homes ONLY: With MICROCHIP $1075 (Black, Chocolate, Yellow), and $1175 (Ivory-Light Yellow), and (Silver, Charcoal, Champagne). Most litters are placed within days of being born as we compile waiting lists and secure positions in advance of litter arrivals. 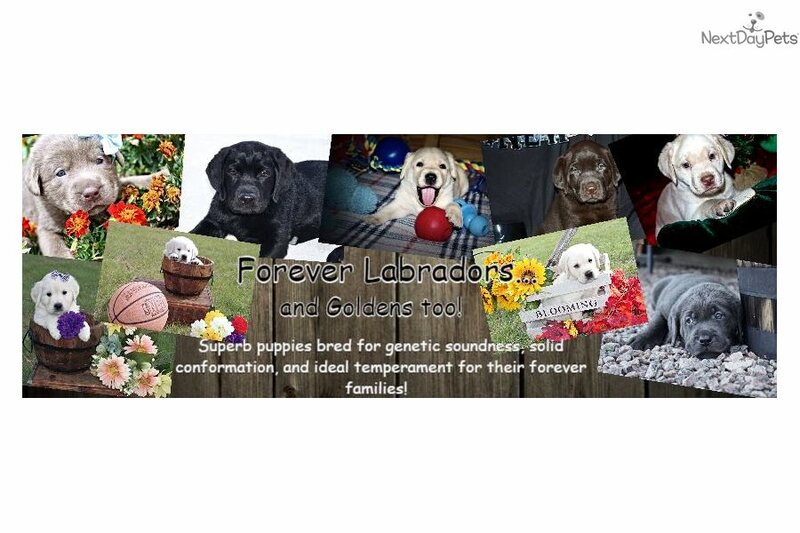 A signed contract and a $275 deposit payable to "Forever Labradors" via check or PayPal will guarantee a future position! Our dogs are DNA tested and many carry a dilution gene that is the genetic basis in obtaining the colors of silver, charcoal, and champagne. They are registered under their base coat color: Silver=Chocolate, Charcoal=Black, and Champagne=Yellow. Please feel free to look at our Facebook page postings by others and reviews and message us through Facebook regarding planned future litters Please note we do NOT sell to brokers, pet stores, or sight unseen!! Forever Labradors And Goldens Too!